Many of us have a loved one or a friend who is LDS. There can often be some confusion or even some tension when trying to discuss Jesus or the Bible with them. 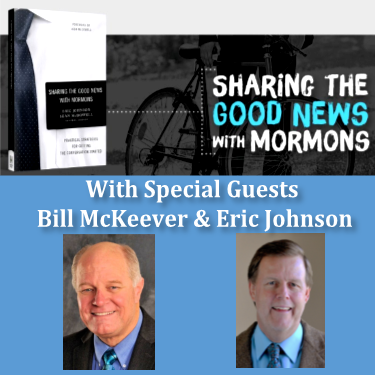 In this powerful presentation given By Eric Johnson & Bill McKeever of Mormonism Research Ministries, we'll begin to get a clear look at some of the key principles of Mormonism and how those beliefs differ from what is taught in the Bible. Then, in the second half of this podcast, we'll gain some valuable tips and insight in the most effective way to share the truth of God's word in a loving and respectful way. Finally, keep listening until the end of this episode for a wonderful session of Q&A.